Dr. Cordero was born and raised in Puerto Rico. She attended Oklahoma State University for her undergraduate and postgraduate studies. She graduated in 2004 with a Bachelor’s degree in Animal Science and received her Doctorate in Veterinary Medicine in 2008. She continued her studies at OSU and completed a PhD in Veterinary Biomedical Sciences in 2012. After graduation, Dr. Cordero relocated to the DFW area to practice small animal medicine. 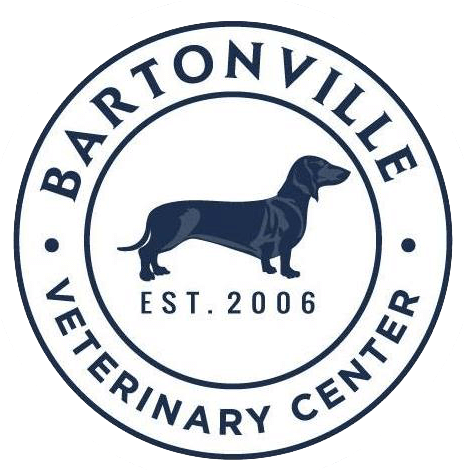 She became the owner of Bartonville Veterinary Center in September 2016. 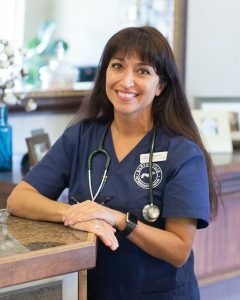 Dr. Cordero and her husband Chris share their home with a dachshund named Charlie, a cat named Lillie and an American staffordshire terrier named Jane. They have called Lantana home since 2013. In their spare time, Dr. Cordero and Chris enjoy supporting local restaurants, traveling and spending time with their pets. Dr. Cordero also enjoys reading, horseback riding and cooking. Dr. Cordero is committed to her employees and community. She is passionate about keeping our neighborhood pets healthy while providing an exceptional client experience. Dr. Cordero is also bilingual and enjoys connecting with Spanish speaking clients in order to provide the best quality medicine and care. Kayla grew up in Wasilla, Alaska. 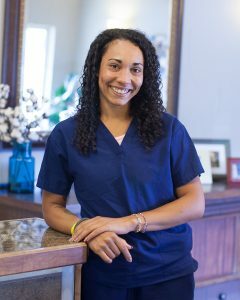 She has been with Bartonville Veterinary Center since 2018. Kayla is currently studying for her Bachelor’s degree in American Studies. In her free time, she enjoys showing her dogs in confirmation, spending time with her family, and reading. Kayla has two dogs, “Prada” and “Capone” (Afghan Hounds). Laura grew up in Keller, Texas. 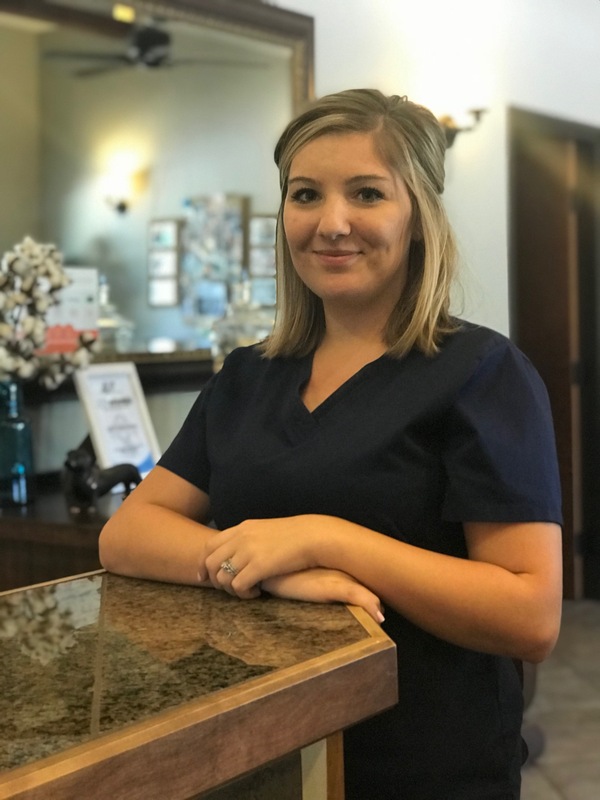 She has been with Bartonville Veterinary Center since 2017. She has a degree in English from Texas Woman’s University. In her free time, Laura enjoys reading, writing, and painting. She has two cats, “Zen” (Domestic Shorthair), and “Buddha” (Orange Tabby). Kayla grew up in Texas. 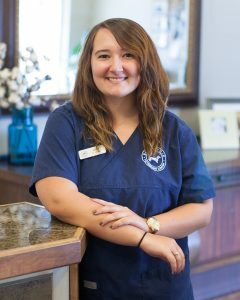 She has been with Bartonville Veterinary Center since 2016. Kayla is currently working towards her Bachelor’s of Science in Microbiology at North Central Texas College. In her free time, she enjoys reading, fishing, and the outdoors. Kayla and her husband have two dogs, “Arwin” (Golden Retriever) and “Riker” (Australian Shepherd Mix), as well as three cats, “Selina”, “Tummy-Mittens” (Tuxedo), and “Rigsby” (Grey Shorthair). Sunny grew up at Bartonville Veterinary Center. He is a 12 year old Domestic Shorthair. When he’s not busy greeting clients, Sunny likes to take naps, watch birds, and take long strolls through the parking lot.